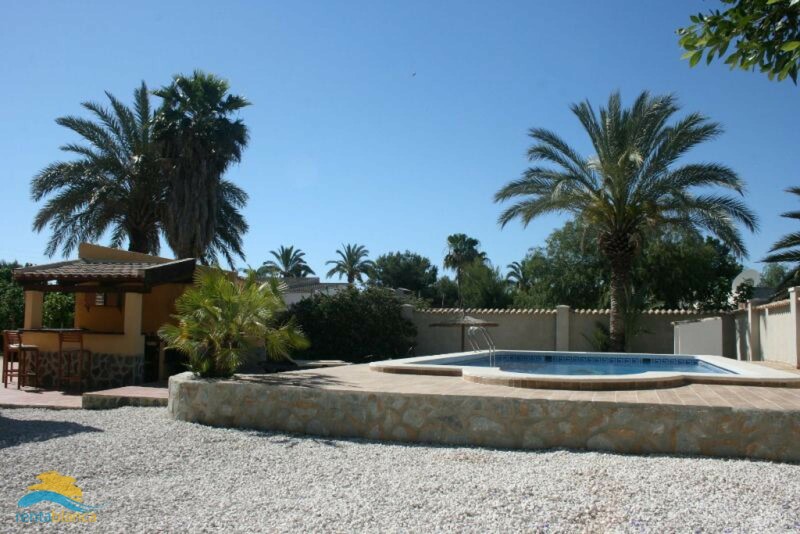 This nice decorated detached villa (finca), located in Elche, is only 5 minutes removed from the beach. The villa offers a lot of facilities. The parcel of 2000M2 is completely fenced. On the very big terrace you can relax in the jacuzzi (4 persons), take a sunbath, take a drink on the lounge seats. 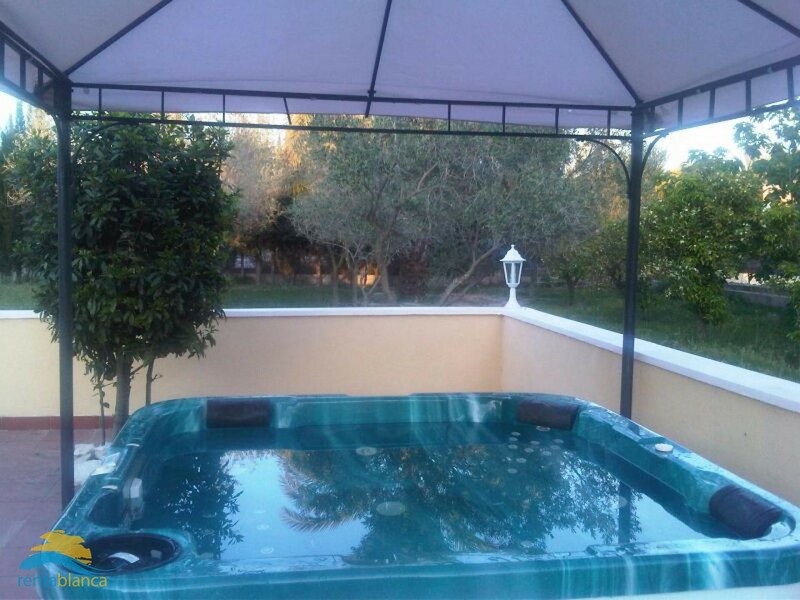 Furthermore you will find an outside bar, a private swimmingpool and a lot of trees like olive and orange trees. 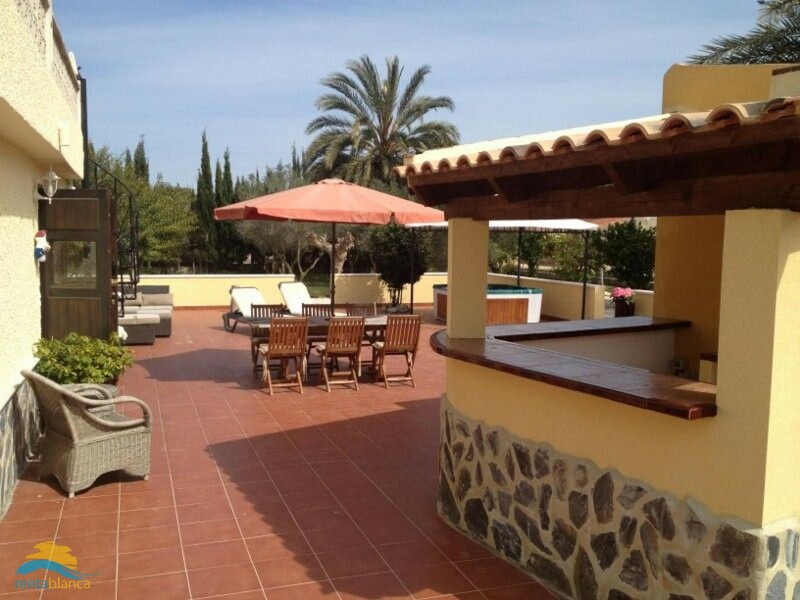 The finca is very comfortable and has 3 bedrooms and 2 bathrooms. It has air conditoning (hot/cold), a washing maschine, a dryer etc. The beaches of La Marina are within 5 minutes drive from the finca, the city Elche within 10 km. LaMarina beach has Blue Flag status, meaning that it concerns a high-quality beach! 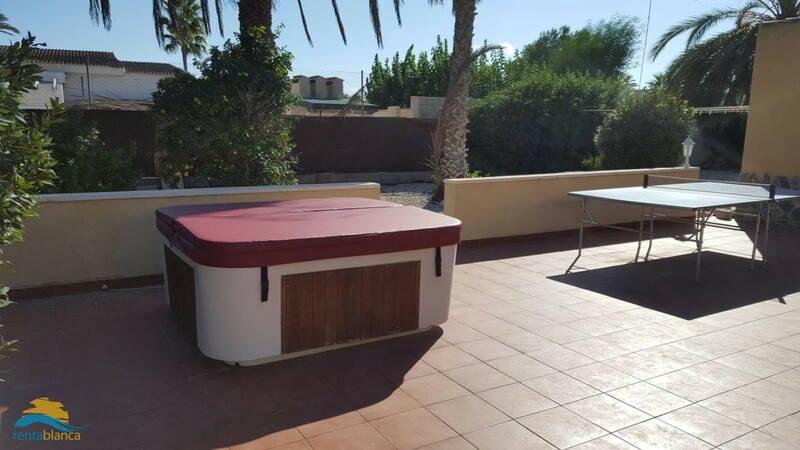 You can enjoy nature, walking, but the finca also is a great base to explore the Costa Blanca and to make several daytrips. The cosy village La Marina is typical Spanish. In this village and in the nearby urbanization La Marina you will find several supermarkets, bars, internet cafes and restaurants. The local market of the urbanization La Marina is organized on Sundays and Thursdays. In fact, you can visit a market in the surroundings almost every day, like the markets of Santa Pola, Guardamar, Torrevieja and Almoradi. There are many golf courses available , golf course La Marquesa (Rojales) is 15 minutes removed from the finca and the golf courses Las Ramblas and Villa Martin are about 25 minutes removed from it. Within 45 minutes you will reach the most famous amusement parks of the Costa Blanca like Terra Mitica and Mundo Mar and several water parks (Rojales, Torrevieja, Benidorm). The biggest cities of the Costa Blanca, Elche and Alicante, can be reached within half an hour.